Wolf Kahn and Guy Yanai, Is Landscape Painting Still Relevant? In a recent review of Maureen Gallace’s current exhibition at 303 Gallery by Barry Schwabsky, the subject of whether painting a landscape is relevant in today’s era was brought up. Gallace’s landscapes are certainly an example of how a landscape can be far more than just an aesthetic rendering of a natural scene. They present moments in time that exhibit specific natural and subconscious occurrences. In a way, her handling of light and movement of natural elements makes her a contemporary Impressionist painter. So to answer the question that Barry posed in the headline: Yes, yes, a million times yes! There are so many great painters today that return to the landscape. Wolf Kahn has been mastering landscape painting since the 1950s. His new work is just as sublime, masterful, and new as it was six decades ago. 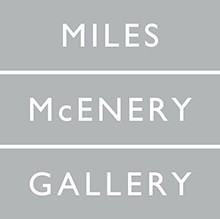 Just check out his current show at Ameringer McEnery Yohe. With an environmental pull, Dorothy Robinson‘s expressionistic awe inspiring landscapes are also examples of how landscape painting fits within the contemporary cannon. Israeli painter, Guy Yanai, is another example of how landscape painting is not only still possible but can feel completely fresh. Eleanor Ray’s landscape paintings are a tour de force utilizing both form and scale. Rifka Milder’s landscapes are both unique and intimate. Jay Milder shows us how landscape can be a theme in a painting in a non-material realm. Peter Passuntino’s landscapes transport us to a dreamlike world. While his contemporaries during the 1950s were focused on Abstract Expressionism and Color Field painting, Wolf Kahn chose to embrace the figure and incorporate representational imagery into his work. Kahn didn’t completely eschew the modes of Expressionism and Color Field painting, and combined these two styles along with his subconscious visions of nature. Kahn’s landscapes incorporate the essence of nature that the Expressionists sought combined with sweeping bands of radiant color, providing an emotional impact. With his understanding of formal spatial composition, color theory (his palette has been compared to Matisse’s), and expressive paint handling (which has often been compared to Mark Rothko’s), it is no wonder that Kahn was a particularly favorite student of Hans Hofmann’s. A lot of today’s landscape painting owes much of its legacy to Wolf Kahn’s innovation. 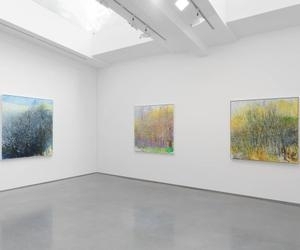 His current solo exhibition runs through December 23, 2015 at Ameringer McEnery Yohe. Dorothy Robinson’s contemporary landscapes are a powerful metaphor for the human condition. They are grandiose and beautiful as well as haunting and destructive. Her environments twist, turn and split apart, merging sky into water or disappearing off the edge of a cliff or underneath the earth itself. Certain arrangements in Robinson’s paintings are reminiscent of landscapes she has encountered through travel across the United States. Intuitive paint on canvas conjures up a wide range of emotions and personal reflections that express the artist’s own abrupt endings and painful beginnings. For Robinson, landscape painting is more about unpredictable events than the arrangement of forms into a single point perspective. Robinson’s interests stem from geomorphology and physics, which earned her a Bachelor Degree in Geography from the University of California, Berkeley. She has traveled extensively across the country and the paintings are in part inspired by these sojourns. Guy Yanai’s contemporary landscapes are rooted in displacement. Yanai renders colorful yet banal scenes that are indicative and expressive of modern day feelings of alienation. The subjects of his landscapes include stark facades of modern houses, pools, cityscapes, and seascapes. Each of these paintings are rendered in a manner that seems, at first, impersonal at large, which is part of their commentary on contemporary isolation and the journey – spiritual and psychical – to find one’s place in this world. However, these paintings are almost certain to evoke an intimate response when viewed up close and personal. A close look at Eleanor Ray’s work reveals a mastery of color used to convey the mood and character of her painted environments. Ray’s landscapes have all of the elements that you’d expect from a compelling landscape, however, one major difference is scale. Ray’s paintings of exteriors and interiors of houses/studios, natural landscapes, and classical buildings, are all meticulously rendered on minute canvases. The smaller scale with dynamic precision adds to the spectacularness of these works. Currently, Steven Harvey Fine Art Projects is showing Ray’s most recent work, which is inspired by the classics just as much as it is by Donald Judd. Ray has a natural ability to connect the dots in the history of Western art resulting in a style that is uniquely hers. Rifka Milder‘s paintings are fantastic abstractions inspired by the nature of her Manhattan environment. These paintings are indicative of Milder’s astute sense of nature and her taking the time to appreciate the subtleties of form and the emotion and energy experienced from her reflections of the world around her. On a metaphysical level, Jay Milder‘s work has always had its roots in the landscape. For Milder, these landscapes aren’t solely within the material world, his landscapes are free-floating esoteric environments filled with mystic numerology, animals, houses, vehicles, and symbols. Often in his recent paintings, Noah’s Ark and its inhabitants are included within the non-linear composition, while geometric forms also signify the sacred geometry of the universe. Peter Passuntino has also continued to paint landscapes in his recent work. Passuntino’s landscapes may reference specific iconography and geographic locations, however, these whimsical worlds are composed largely from his vivid imagination.Climbing the Corporate Ladder is a surreal landscape with a socio-political theme. In this painted world, Passuntino portrays a well to do gentleman climbing a ladder into oblivion. Below the man are economic symbols such as the dollar and cents symbols and the The Eye of Providence. The man is obtaining wealth and prosperity while the world below him burns. This painting and Sea and Landscape with Sail boats are part of a series of “quilted landscapes,” where brilliant patches of color are stitched together to create these fantastical landscapes. Passuntino’s dynamic color palette is reminiscent of the Fauves, while he blends the automatism of surrealism with the emotive force of expressionism. These are just some of the many painters for whom landscapes are a major subject in their work.